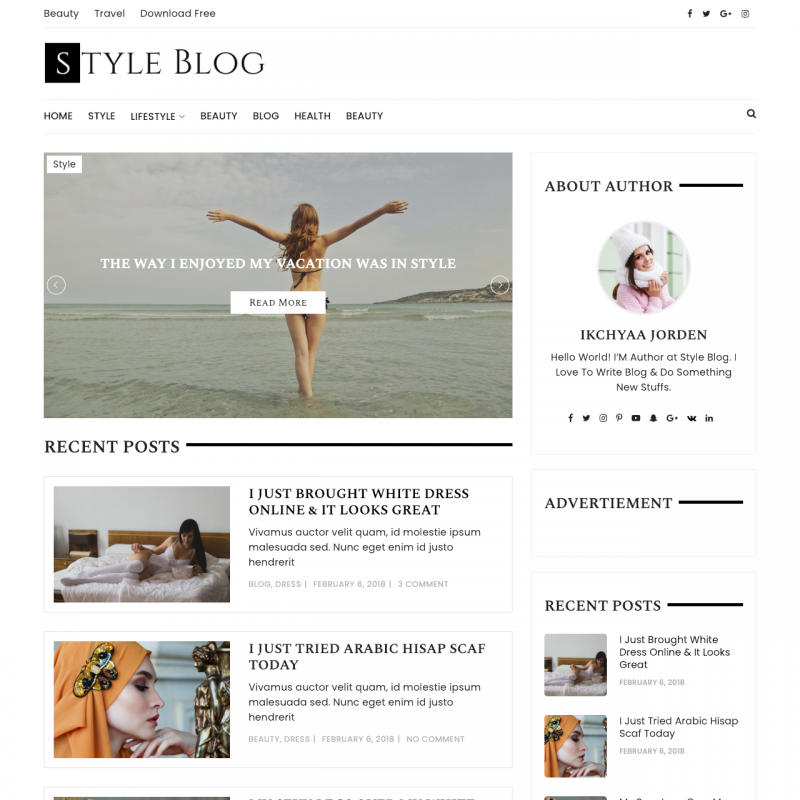 Styleblog theme translations are maintained by the WordPress community. 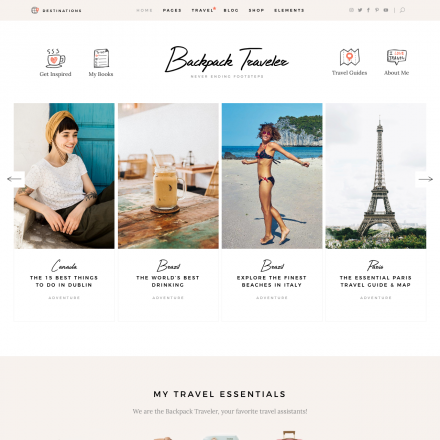 StyleBlog is a basic theme for fashion, beauty, travel, food magazines and blogs. 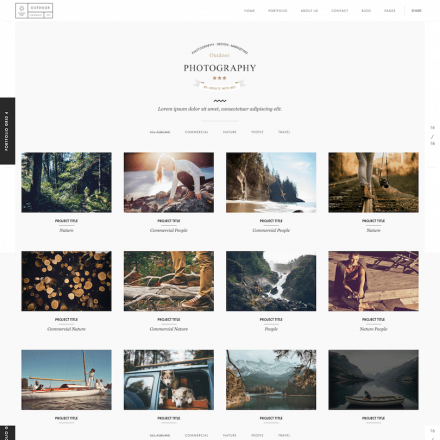 In the free version of the theme there is a slider, two header menus, recommended posts section, ads widget area in header and widgetized footer. You can select the sidebar position, enable breadcrumbs, choose excerpt length. There is also a custom widget About the author with links to social networks.